Shorty Bauman's in historic downtown Cordell is an Oklahoma staple. 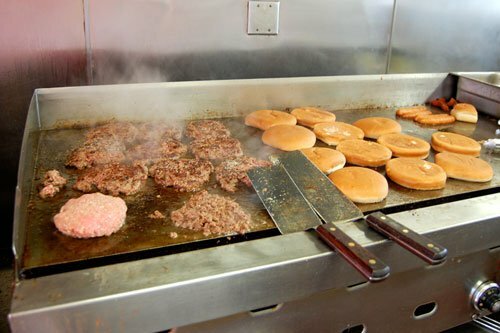 This diner serves old-fashioned fried onion burgers and has been around for decades. Opened in 1938, the restaurant has changed hands many times and closed briefly before opening up bigger and better than ever in 2013. Older Cordell residents today recall ordering an onion burger, potato chips and RC Cola at the eatery back when they were high school students. The diner hasn't changed much and continues to specialize in simple but delicious hamburgers. Stop in to enjoy a mouthwatering burger topped with special sauce or other flat-grilled diner treats.